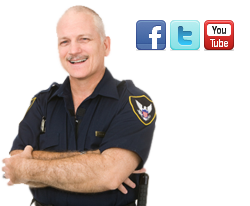 To qualify as an armed security guard in Maryland you must be certified. The certification is handled by the hiring company. Your application will go through that company and forwarded to the Secretary of State. Certain fees for the application or finger printing may be required and forwarded with your application, if hired. For more information, please read TITLE 19. SECURITY GUARD AGENCIES AND SECURITY GUARD CERTIFICATION or call the Maryland State Police Licensing Division at 410- 653-4500. Looking foreword to get training. My name is Andre Walker Sr., and I’m the founder and ceo of Multi-Discipline Training Tactics & Protective Services, LLC. We are currently seeking individuals who are looking for training in the security field for the state of Maryland. We offer Armed & Unarmed Security Training. If you want Mrs information please call us at 301-747-4840. My name is Abdul Conteh.i am interested in a armed security training.am willing ready to go.But I don’t know how to go abt it.can u please contract me on 2404138756. My name is Abdul Conteh.i am interested in a armed security training.am willing ready to go.But I don’t know how to go abt it.can u please contact me on 2404138756. My name is Dan Palle.wants to train as an armed security.Ready to go.Please help me achieve my dream.contact 240-678-5250.Thanks.